Auckland's unique landscape can create some stunning views, it can also create some awful slopes. 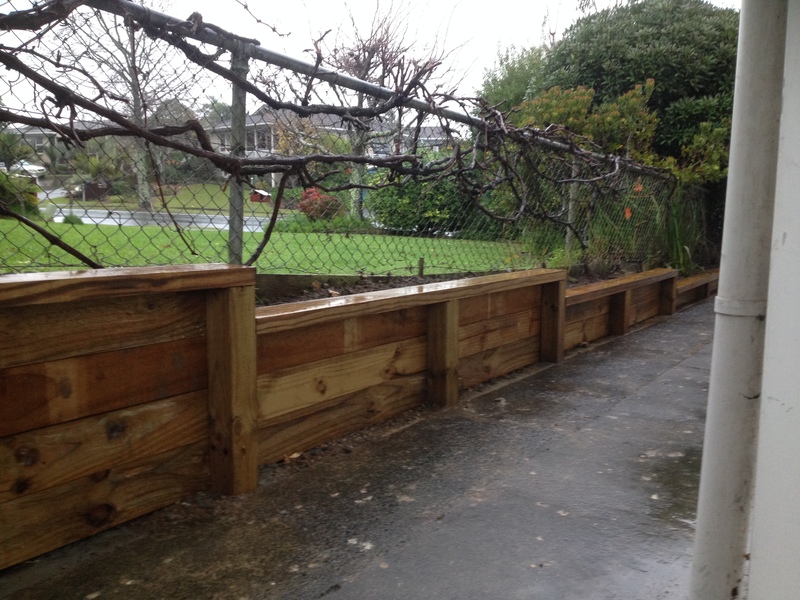 WE WORK WITH TIMBER, STONE, AND BLOCKS TO CREATE STUNNING RETAINING WALLS. Need an engineered wall or just some thing to keep the garden in check? We cover it all. Retaining walls that truly last the test of time. No effort is spared to ensure your wall is exactly what you need. Our team have the know how to get the job done. Timber is a great cost effective material. It's versatile and can often be tied into a fence or stair case. WHAT CAN YOU ACHIEVE WITH A TIMBER WALL? Timber walls are great in many circumstances. Many Aucklanders currently have a steep lawn. This can be a nightmare to mow, and is an almost unusable space. Create amazing outdoor spaces, with the use of retaining walls. Timber is great as it's versatile, and strong. Concrete retaining blocks are useful when building higher retaining walls. The also add another element to your yard, and can be great when you need to break up timber from decks to fence. Concrete walls come in a wide range of designs, and can be used to great effect. Retaining walls can be a key element your properties overall landscaping.